RUSAPE - Two Rusape adult males were arrested on January 15 on allegations of participating in violent demonstrations during the national shutdown. On Monday Archford Chari (26) of Number 197 NE Vengere and Leonard Rebanewako (26) of Number 323B Vengere appeared before magistrate Shane Kubonera facing charges of obstructing the free movement of persons and traffic. The duo, represented by Leonard Chigadza of Chigadza and Partners, pleaded not guilty claiming they did not participate in any illegal activity but were just caught in the crossfire while on their way to Vengere. The State alleges that on January 15 at around 10:30hrs, the two and their other four accomplices who were still at large, connived and went to the 173km peg along Harare Mutare highway where they placed some burning tyres on the road. Police constables Tichaona Mereki and Luke Ngaru stood as witnesses after attending the scene with six soldiers. 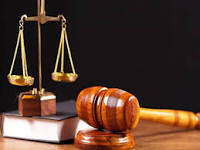 The defence argued that the police officers were lying in court as their testimonies were out of sync, and claimed that the arrests were in fact done by soldiers who brutally assaulted the two before handing them over to the police. The trial was due to continue the following day, with the defence set to apply for an in loco site visit and doing cross examinations. In a related matter, Learnmore Chawatama (46) of MH4 Vengere Hostels, Rusape was arrested for insulting and undermining the authority of the president. He was arrested on January 15 at Vengere business centre for allegedly insulting President Emmerson Mnangagwa. Represented by Leonard Chigadza of Chigadza and Partners, Chawatama was granted $80 bail with conditions that he reports to Rusape Police Station every Monday and Friday, does not interfere with State witnesses and continues to stay at his given address until he appears back in court on February 04.